Cerium dioxide nanomaterials (CeO2 NMs) are used in different fields and incorporated in daily products. Several studies highlighted their effects on organism physiology, although molecular studies remain scarce. 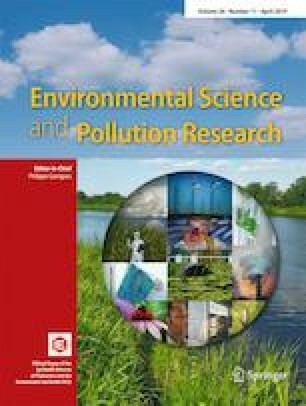 NM behavior is strongly dependent on the environment but few data are available using complex exposure media, raising the question of its environmental impacts. The aim of the present work was to assess the toxic potential of three CeO2 NMs in Corbicula fluminea at a molecular level by RT-qPCR under a more realistic scenario of exposure, in a multistress context at two different salinities (1.5 and 15 psu). C. fluminea was exposed for 28 days to pulses of the three selected NMs (reference, manufactured, and aged manufactured). In bivalves, the gills and digestive gland are two key organs used for ecotoxicological studies. The expression change of 12 genes was measured in control organisms after 28 days in both organs, allowing us to clearly separate the responses for both organs and salinities. As gills come in contact with the environment first, we monitored gene the expression at intermediate time points (7, 14, and 21 days) for this organ in order to highlight clams responses to NM and salinity. Two genes (Se-GPx, MnSOD) had a salinity-dependent level of expression. HSP70, Se-GPx, and Trxr mRNAs presented significant changes in their expressions in the presence of NM. This study was completed using an integrated statistical approach. The exposed organisms differed more from control at field salinity than those exposed to hyper-saline conditions. At 15 psu, salinity pressure seems to cause the first molecular impact. At 1.5 psu, gene expression patterns allowed the effect of each NM to separate clearly. These results confirmed the usefulness of gene expression studies. Moreover, we highlighted the necessity to assess the environmental toxicity of the different forms of manufactured NM. The online version of this article ( https://doi.org/10.1007/s11356-019-04927-3) contains supplementary material, which is available to authorized users. Financial supports were provided by the French National Agency (ANR-3-CESA-0014/NANOSALT project) and CPER Lorraine-ZAM (Contrat Projet Etat Région Lorraine, Zone Atelier Moselle). This work is a contribution to the Labex Ressources 21 (ANR- 10-LABX-21-01, Strategic metal resources of the 21st century). The authors gratefully acknowledge CNRS for funding the iCEINT International Consortium for the Environmental Implications of NanoTechnology. KOEHLE-DIVO Vanessa received financial support for salary from the French Research Ministry. Sharon Kruger is gratefully acknowledged for her English corrections.